Random House Large Print. Hardcover. 0375432310 Like New Condition. . Fine. In the fourth volume of the acclaimed Hinges of History series, Thomas Cahill brings his characteristic wit and style to a fascinating tour of ancient Greece. The Greeks invented everything from Western warfare to mystical prayer, from logic to statecraft. Many of their achievements, particularly in art and philosophy, are widely celebrated; other important innovations and accomplishments, however, are unknown or underappreciated. 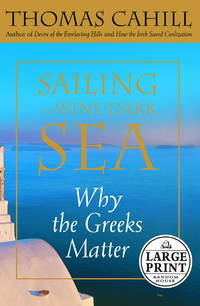 In Sailing the Wine-Dark Sea, Thomas Cahill explores the legacy, good and bad, of the ancient Greeks. From the origins of Greek culture in the migrations of armed Indo-European tribes into Attica and the Peloponnesian peninsula, to the formation of the city-states, to the birth of Western literature, poetry, drama, philosophy, art, and architecture, Cahill makes the distant past relevant to the present. Greek society is one of the two primeval influences on the Western world: While Jews gave us our value system, the Greeks set the foundation and framework for our intellectual lives. 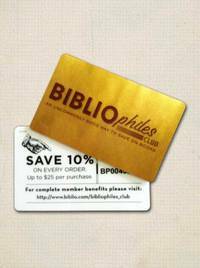 They are responsible for our vocabulary, our logic, and our entire system of categorization. They provided the intellectual tools we bring to bear on problems in philosophy, mathematics, medicine, physics, and the other sciences. Their modes of thinking, considered in classical times to be the pinnacle of human achievement, are largely responsible for the shape that the Christian religion took. But, as Cahill points out, the Greeks left a less appealing bequest as well. They created Western militarism and, in making the warrior the ultimate ideal, perpetrated the assumption that only males could be entrusted with the duties of citizenship. The consequences of their exclusion of women from the political sphere and the social segregation of the sexes continue to reverberate today. Full of surprising, often controversial, insights, Sailing the Wine-Dark Sea is a remarkable intellectual adventure--conducted by the most companionable guide imaginable. Cahill's knowledge of his sources is so intimate that he has made his own fresh translations of the Greek lyric poets for this volume.From the Hardcover edition.